Federal documents show that one of Blue Bell’s ice cream factories tested positive for listeria back in 2013 but failed to properly clean the facility and stop the contamination. Two other plants were also tagged for problems. Blue Bell’s plant in Broken Arrow, Oklahoma had the most issues, according to documents published online by the US Food and Drug Administration on Thursday. Not only was listeria detected over the course of the last two years, but the documents state that the Texas-based ice cream maker repeatedly failed to adequately address the problem before and after the bacteria made it into its food products. According to the Centers for Disease Control and Prevention, 10 cases of the potentially deadly listeriosis have been confirmed in four states as a result – Arizona, Kansas, Oklahoma and Texas. Kansas experienced the most cases with five, three of which were fatal. 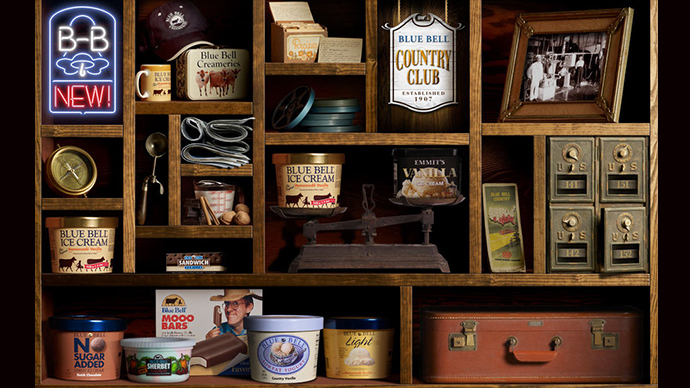 Blue Bell recalled its entire product line in April. The first strong signs of listeria were uncovered at the Broken Arrow plant back in 2013, when “presumptive positive” tests for the bacteria were found on non-food contact surfaces, such as the floors in front of two freezers, a pallet jack in the kitchen and behind a flavor tank. More positive tests continued to be filed throughout 2014 and the first few months of 2015. The actual ice cream product, including Institutional Chocolate Ice Cream, tested positive for listeria back in 2014. After learning of the results, Blue Bell reported that “the usual cleaning and sanitation procedures were followed and verified as being performed more thoroughly,” according to the documents. Listeria wasn’t the only problem noted at Broken Arrow. Blue Bell also reported 47 cases in which levels of coliform bacteria, found in the environment and in the feces of warm-blooded animals including humans, were higher than permitted by Oklahoma state law. Between April 2014 and March 2015, these high levels were discovered in finished products, products in-progress, as well as raw ingredients. In at least one case, the coliform bacteria level was more than six times higher than legally allowed. At the plant in Brenham, Texas, the FDA found listeria in two different ice cream products, as well as on non-food contact surfaces. Employee violations were also noted, as were problems with condensation. On at least two occasions, condensation was observed dripping directly into ice cream products. In another instance, condensation was seen dripping into ice cream molds that were later filled with ice cream mix. Blue Bell itself has yet to comment on the FDA’s findings, but it has stated previously that it plans to significantly improve conditions at its factories. The company’s range of ice cream products are still off the shelves and it’s unknown when they will be ready for sale again. “Unfortunately, we do not yet have a firm timeline for when Blue Bell Ice Cream will be back in stores, but we believe at this time that it will be several months at a minimum,” said Blue Bell CEO and President Paul Kruse in a previous statement on the recall.